Almost all the top twenty digital currencies in the market recently saw a sharp price surge. The majority of them are now trading in the green. The only digital currencies among the top twenty in the market that are trading in the red zone are Tether (USDT) and Cosmos. Bitcoin (BTC), which is the largest digital currency by market cap, is still stuck around the $4k level. Over the past week, Bitcoin (BTC) has been trading within the $3,800 and $4,200 range. The digital currency is currently facing a strong hurdle at the $4,200 level. Bitcoin (BTC) is yet to see a massive bullish momentum that would help to break over its long pressing hurdle point. At the press time, BTC is changing hands at $4,066 after amassing gains of less than one percent over the past twenty-four hours. At the moment, BTC is still holding the number one position with a market cap of $70.58 billion. The trading volume of the digital currency over the past day has increased to $9.46 billion. On the other hand, the valuation of the entire digital currency market is also facing some challenges. The entire digital currency market cap failed close to the $136 billion resistance level and plunged sharply. 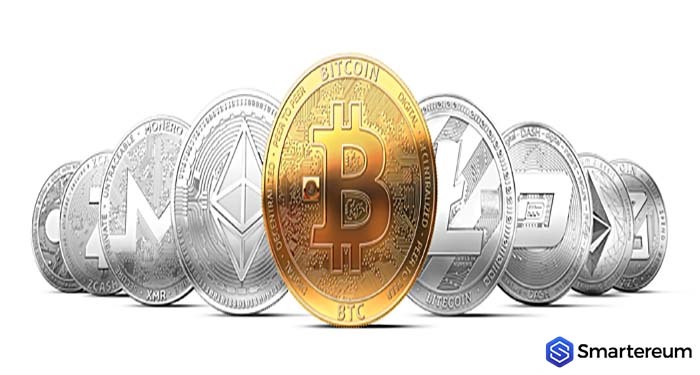 The digital currency market might turn red and encounter several hurdles, with bearish moves BTC, ETH, TRX, and LTC are likely to extend losses. Based on the bullish XRP price predictions 2019 out there, the expectation on XRP price is high. The digital currency recently attempted to break over the 32 cents resistance level against the USD. Nevertheless, the digital currency failed to amass momentum, and this resulted in a sharp bearish reaction. The value of the coin declined and plunged below the $0.315 and $0.314 support levels. XRP even broke below the 31 cents support level and the 100-hourly SMA. The digital currency formed a new weekly low at the 30 cents level before it started correcting higher. At the moment, XRP (XRP) has recovered over the 30 cents level. The digital currency has also broken the 31 cents resistance level which initially served as support. XRP (XRP) is currently worth $0.3105 after an increase of about one percent over the past twenty-four hours. The current market cap of the digital currency is $12.99 billion with a trading volume of $926.42 million over the past twenty-four hours. Ethereum (ETH) also saw a massive decline in value below the $134 support level. The value of the coin plunged towards the $132 support level before it started consolidating higher. Ether later surged over the $134 and $135 resistance levels. The digital currency also broke over the 50 percent Fibonacci replacement level of the previous swing form the high of $140 to the low of $132. At the moment, Ethereum (ETH) is recovering, and it is now trading in the green. Ethereum (ETH) live price has risen to $137 after an increase of about two percent over the past twenty-four hours. Ether currently has a market cap of $14.52 billion. The trade volume of the digital currency over the past day is $3.96 billion. Tron (TRX) has been trying to maintain a stable price. The value of the coin also corrected lower, but the decline was limited below the $0.230 level. However, the digital currency is trading over its major support level. At press time, TRX live price is $0.0227 after an increase of about two percent over the past twenty-four hours. The present market cap of TRX is $1.49 billion and its trade volume over the past day is $168.98 million.